I am soooo excited! 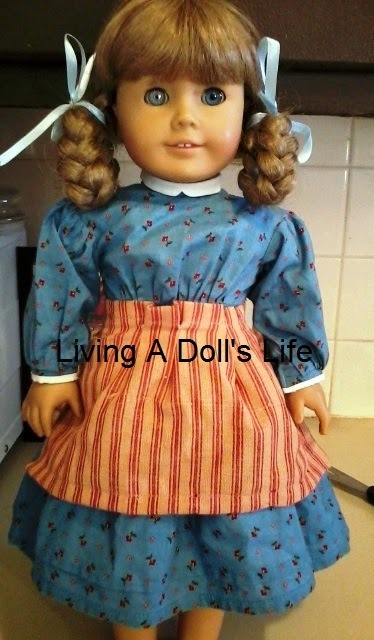 My first post about my first AG doll! 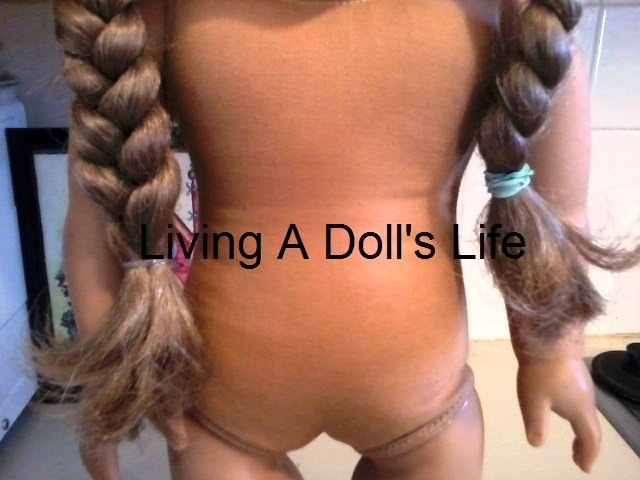 I found a retired tan body PC Kirsten doll!! Searching took a while. Many were in need of a hospital trip, others had chopped hacked off hair-dos, several were expensive for the condition they were in - $225. Oh my goodness I saw one Kirsten who had a fight with a dog and the dog won! My Kirsten's in very very good condition, I was so happy when she arrived. The photos showed her to be well taken care of. She does have a silver eye, from what I understand AG Hospital will replace it for free. However I have heard that sometimes they replace the entire head with another and that worries me. Otherwise the eye may just have to be swapped from an extra "doll part" found online. I am unsure as to what I'll do, more on that later. She stands on her own, both legs are not loose, hair intact/ uncut, no markings. I had to buy her "meet" dress from a separate listing and lost the bid by .10c on her apron. I'll have to find an apron, pantalettes, brown/yellow stocking and shoes; and I'd like to find a bonnet. I hope to find these pieces on eBay. Here she is fresh out of the box (she was packaged very well). 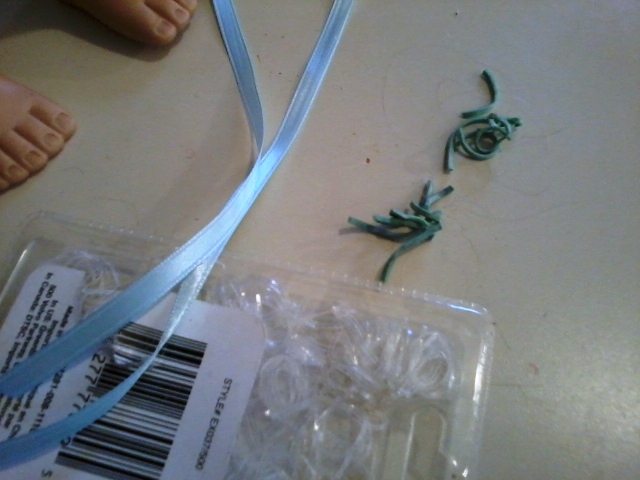 She had regular rubber bands in her braids so I immediately replaced them with clear hair bands. These are not the original ribbons but in the meantime they will work fine. I also bought Addy in her "meet" dress, with bow, socks, shoes and earrings. She hasn't arrived yet, but I can't wait!! Congrats on 5 years posting! I have Kirsten too, but she isn't PC. But she is indeed very cute.